The public policy landscape of California is complex and difficult to navigate without assistance. At Attore & Associates, we provide expert guidance for organizations and individuals seeking to maximize their success in this tough environment. We have the experience, relationships and know-how to manage any public policy campaign in California or across the nation. We will assemble a unique team to fit your specific needs. As our client, your goal becomes our goal and we pursue it with an unparalleled intensity and dedication. He and his hand-picked teams have provided a variety of services to various organizations dedicated to the advancement of children’s health and education. Since its inception, he has worked with Vision to Learn providing vision care to hundreds of thousands of low-income kids across California and a growing number of additional states. He and his associates are also closely involved with The California Endowment‘s program to serve Boys and Young Men of Color throughout the state. Don has been active in Centene Corporation‘s entrance into California health care, as they became the first medical provider to penetrate the market in 20 years. Additionally, he was part of the group who helped Centene navigate the purchase of Health Net. One of Don’s team currently supports them with strategies for success as they expand into new health care markets. Don’s significant contributions and advocacy for children’s health and education earned him an appointment to the statewide First 5 California Commission also known as the California Children and Families Commission where he served for three years. He has also worked with the Advancement Project, The Packard Foundation, the Bill & Melinda Gates Foundation and William & Flora Hewlett Foundation. Don manages teams focused on real estate development involving ecological and green energy projects. In that capacity, he works with a number of large corporations and consortiums including AT&T, AECOM, Majestic Realty, Metropolitan Water District and 8minutenergy Renewables. He and his team’s efforts within organized labor have been diverse. They have worked with scores of major labor organizations throughout the State of California including American Federation of State, County & Municipal Employees (AFSCME), state and local chapters of the California Federation of Teachers (CFT), California Teachers Association (CTA), IBEW State Council, and the Service Employees International Union (SEIU). Using a variety of additional personnel, he helped develop and implement a successful, comprehensive public affairs and legislative campaign for Majestic Realty’s effort to gain approval to bring the NFL back to Los Angeles by obtaining a California Environmental Quality Act (CEQA) exemption to build a premiere stadium/entertainment complex. Don served 30 years with the California Teachers Association. During that time, he earned a reputation as a “go-to guy” managing major political, public policy and contract campaigns. After retiring from CTA, he established Attore & Associates, LLC. Don holds a Bachelor of Science degree from the University of Wisconsin and a Master’s degree in Business Management from the University of Redlands. David Koenig is an independent consultant specializing in political campaigns, public affairs, coalition building and strategic communications. In addition to several candidate and independent expenditure campaigns, he has worked on issues including library funding, stem cell research, NFL stadium development, early childhood education, renewable energy development, school bond construction, arts education, and Democratic Party politics. As a subcontractor to Attore & Associates, as well as Hein, Cherry & Attore, David has worked with a varied array of clients including Majestic Realty, AECOM, AT&T, Working Californians, IBEW Local 11 and Local 18, the Advancement Project, Children Now, and the David and Lucile Packard Foundation. David previously worked for Chad Griffin Consulting, Inc., a political consulting and public affairs firm whose clients included Rob and Michele Reiner, the Entertainment Industry Foundation (EIF), and 2004′s successful Californians for Stem Cell research and Cures Initiative (Prop 71). He has also served on the Board of the San Fernando Valley Young Democrats and the Democratic Party of the San Fernando Valley. David recently served as campaign manager for ballot Measure L in the City of Los Angeles which restored funding to Los Angeles Public Libraries. He currently serves on the board of Californians for the Support of Early Education (CSEE), a nonprofit and affiliated PAC dedicated to advancing early childhood education policy in California and electing candidates committed to that goal. A native Angeleno with deep ties to the San Fernando Valley, David now lives in Sacramento with his wife and two sons. He is a graduate of Cal State University Northridge where he earned a Bachelor of Arts in Political Science with a minor in Religious Studies. Since 2006, Lois has served as CFO for Attore & Associates. She specializes in education issues and client management. Lois worked for twenty-six years within the Coast Community College District. She spent seventeen years as a counselor and administrator within the Division of Student Services at Golden West College in Huntington Beach, CA. She went on to spend nine years as a professor of psychology at Orange Coast College in Costa Mesa, CA. Lois earned a B.S. in Psychology from the University of Tennessee, a M.A. in Clinical/Community Psychology from Chapman University and a Ph.D. in Psychology from United States International University, a legacy institution of California School of Professional Psychology at Alliant International University. Josh Pulliam is a public affairs consultant specializing in governmental affairs, crisis management, political and issue campaigns, legislative and government advocacy, independent expenditures, political consulting, and direct mail. Pulliam was named as one of the “Top 100 Influencers” in California politics by Campaigns & Elections Magazine. Josh has managed statewide propositions, statewide legislative advocacy and Independent Expenditure campaigns for some of California’s largest labor unions, trade associations, and corporations. Josh is the only consultant in California who has won targeted legislative races in both 2008 and 2010 . His incomparable winning record for the past few cycles includes the largest Latino-targeted IE in California history for SEIU and successfully electing both Democrats and Republicans to the legislature. 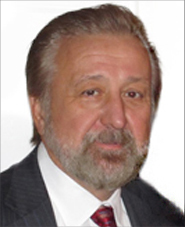 Michael Danese is an international trade consultant specializing in Far East Asian business. For more than 30 years, Danese has been active in the import and export of primarily high technology products. Michael is a founder and board member of WaterPulse, Inc. advanced irrigation systems. Previously a partner at Pacific International importing semiconductor capital equipment, Michael has also worked as an engineer at Applied Materials, Genus, and Dainippon Screen. Tina Park is an independent consultant specializing in venture capital working closely with Korea and China market. She works with clients from private, public, and not-for-profit sectors. Tina Park is an independent consultant specializing in venture capital working closely with Korea and China market. She works with clients from private, public, and not-for-profit sectors. Ms. Park started her career as an Examiner at the New York Stock Exchange. She was elected to the Board of Trustees of the Los Angeles Community College District (2009-2013). She was also appointed by the Korea Communications Commission (KCC) to serve as an Advisory Commissioner in the Internet Division Department. In addition she served as an Advisory member to the Korea Trade-Investment Promotion Agency (KOTRA). In addition to our team of associates, we work with a premiere selection of lobbyists, pollsters, communications specialists, and other consultants from across the country. Direct Strategies for Organizing, Inc.
Brownstein, Hyatt, Farber, Schreck, LLC. Fairbank, Maslin, Maulin & Associates.